Carol Ann Duffy, Britain’s Poet Laureate 2009, composed this poem on the occasion of footballer David Beckham’s injury to his Achilles tendon. 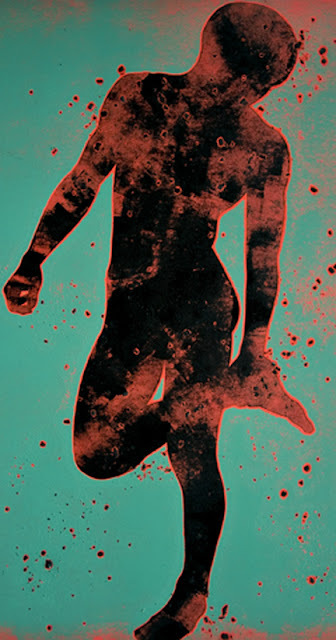 Achilles Heel is my Monotype Print (30 x 15 1/4 in.) created for exhibition in my studio during the 2012 Vashon Island Art Studio tour.